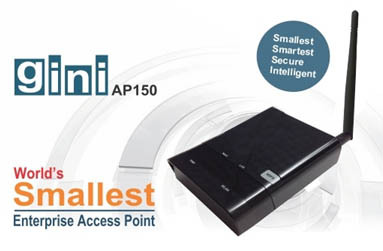 Gini is the smartest and the most intelligent Access point. It has the combination of industry’s best hardware platform and operating system. The hardware platform has been designed with the latest Atheros AR 93XX series processor and on board higher flashing and processing memory. The operating system is design to meet all SOHO and Enterprise requirements of Routing, Nat, QoS &Content Filtering along with stable operation even when the concurrent user base is very high.